BLE in action – Knock! 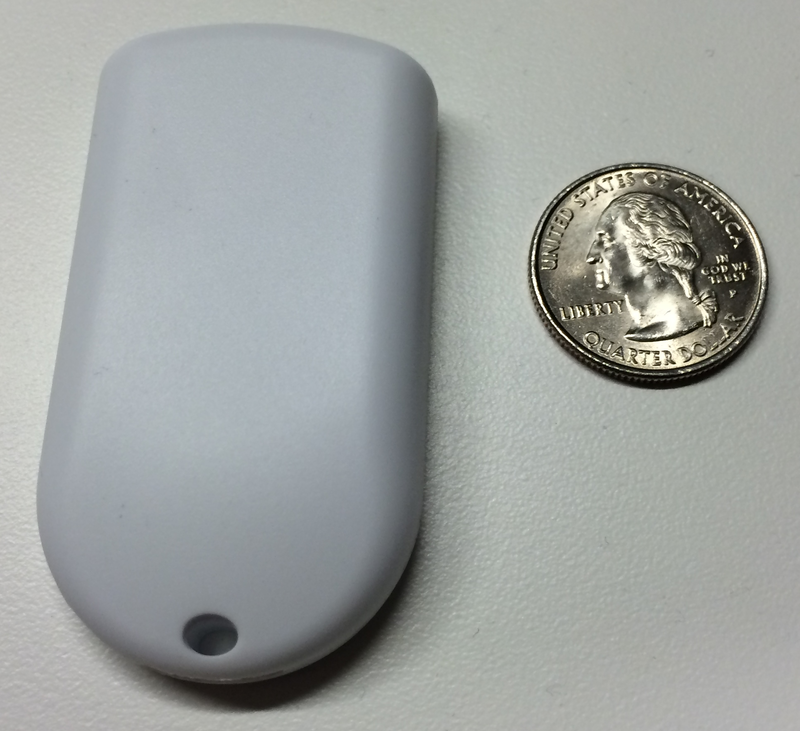 I blogged previously on the topic of iBeacons, which use Bluetooth Low Energy (BLE). BLE is a low energy Bluetooth implementation that allows devices to run for months or years using only a tiny battery. A client told me about a cool app, Knock, that does one simple thing (and very well)…it uses BLE to unlock your Mac when you and your phone are close to your Mac. The app works by having two pieces of software. One piece runs on the iPhone and uses Bluetooth to connect to the other piece of software running on a Mac. The typical use case is you walk up to your Mac and want to unlock it. If your iPhone is in your pocket, the knock app will wakeup automatically and you just knock on the iPhone whilst it is in your pocket. Each time you knock, there is a visual indicator on your mac (blue ring emanating from the center of your login screen). Just two knocks are required to unlock your Mac. Obviously, there is a pairing process to make sure not just anyone can unlock your Mac. And the iPhone app will not work after the phone is rebooted until the phone is unlocked for the first time, to help provide additional security. This app is far from a necessity, but it is very cool and certainly convenient if your hands are full when you are using your Mac (maybe while cooking). It represents to me just the beginning of what interesting and unique apps we will begin to see as we enter this new world of mobile and the Internet of Things. iBeacon is an Apple-backed, Bluetooth Low Energy (BLE)-based standard for a personal area networks (PAN). iBeacon is an indoor positioning system that Apple Inc. calls “a new class of low-powered, low-cost transmitters that can notify nearby iOS 7 devices of their presence.” They can also be used by the Android operating system. The technology enables an iOS device or other hardware to send push notifications to iOS devices in close proximity. From Wikipedia. Essentially iBeacon, via BLE, provides micro location context for use inside or outside. It is much more granular than can be provided by macro approaches such as GPS and WiFi triangulation techniques. Based on an iBeacon’s signal strength, smartphones can determine whether a iBeacon is as close as a few inches or as far away as 160 feet (based on BLE standard). The iOS Core Location APIs allow for two core iBeacon capabilities. Supporting regions for an app running in the background. Regions allow an app to scan nearby iBeacons and wake to provide a notification when a known iBeacon is found. And ranging, where an foreground app can identify a nearby iBeacon and provide context/iBeacon-specific information and capabilities in a specially designed app. iOS devices can be iBeacons as well. This is ideal for development and testing purposes, so that any developer can use an iOS device to experiment with the iBeacon technology. But it is not just reserved for developers, organizations can use an iPad as signage, providing visual information for those that can gather physically around and see the app with their eyeballs, but also function as an iBeacon, providing in-app features for those in the area, but further away from the signage. iBeacons can be used independently or multiple iBeacon can share one ID, providing a larger area for which the same signal is provided. Using the iBeacon major and minor properties, apps can be built to know what to do given a particular iBeacon . Well built apps will be aware of “entering” and “exiting” areas to make sure apps don’t repeatedly repeat notifications (e.g. say welcome several times as you walk on outskirts of iBeacon range). Although we are seeing interest in areas including building automation and robotics, most activity is happening around one scenario: retail. I’m using the most broad meaning to include retail stores & restaurants as well as attractions such as museums, zoos, etc. Retailers are looking to provide information to customers throughout their stores. We’re seeing more activity with retailers that sell higher-end, unique products. You could easily envision iBeacon to be used to provide rich, detailed information for different automobiles in a showroom. Or to provide reviews, photos, videos, pricing and social media regarding high-end electronics at a retailer.